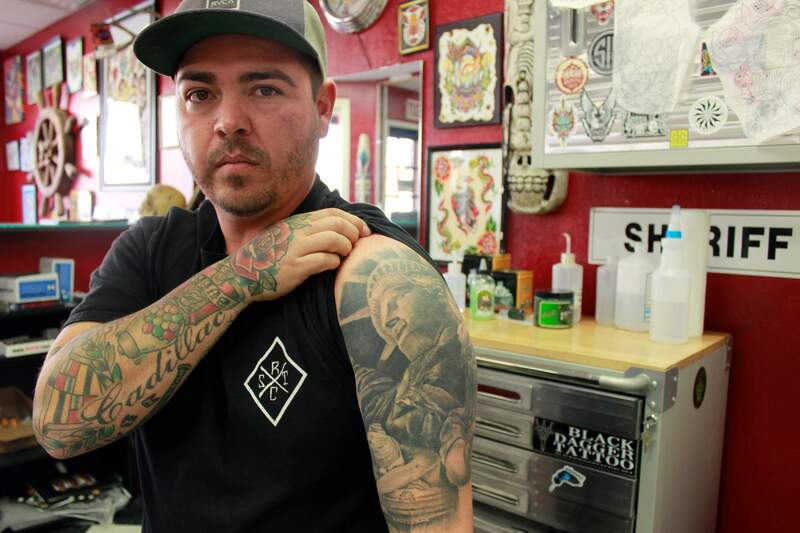 Robert Smith, owner of Black Mountain Tattoo, got the face of Jesus covered up by the Statue of Liberty. 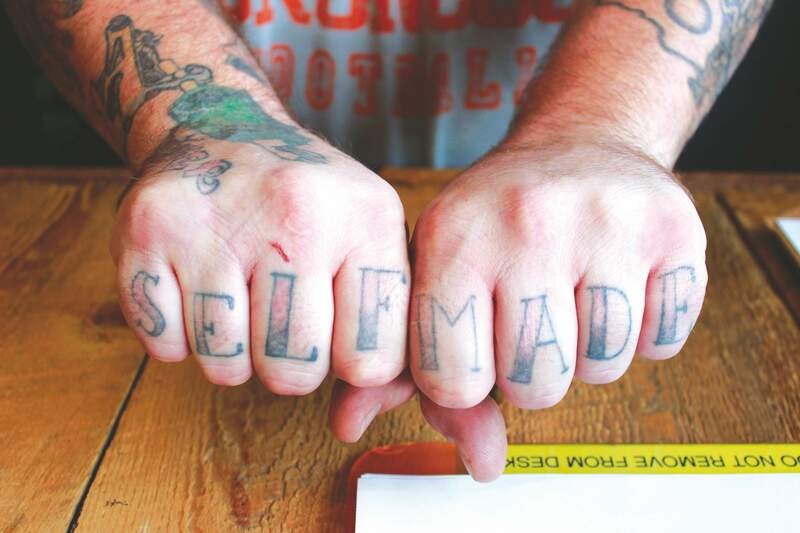 “Self Made” is scrawled on Matt Blachley’s fingers. 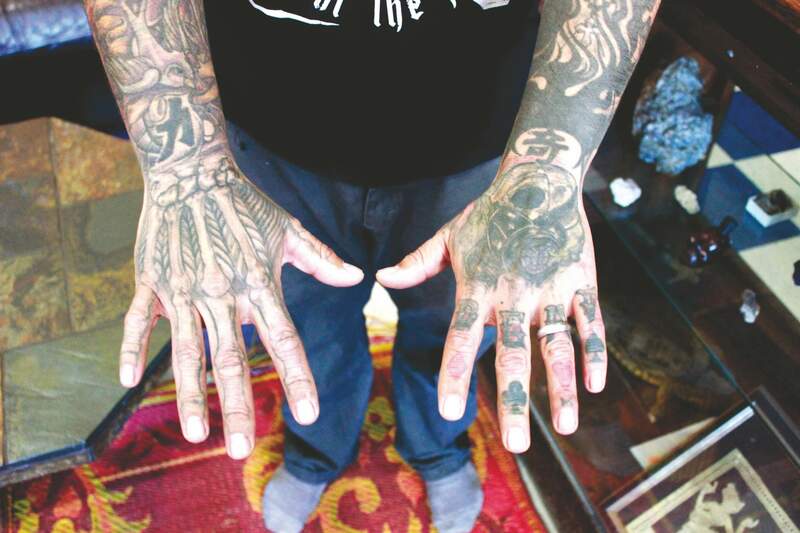 Getting tattooed near his fingernails was the most painful tattoos Joshua Barela has experienced. 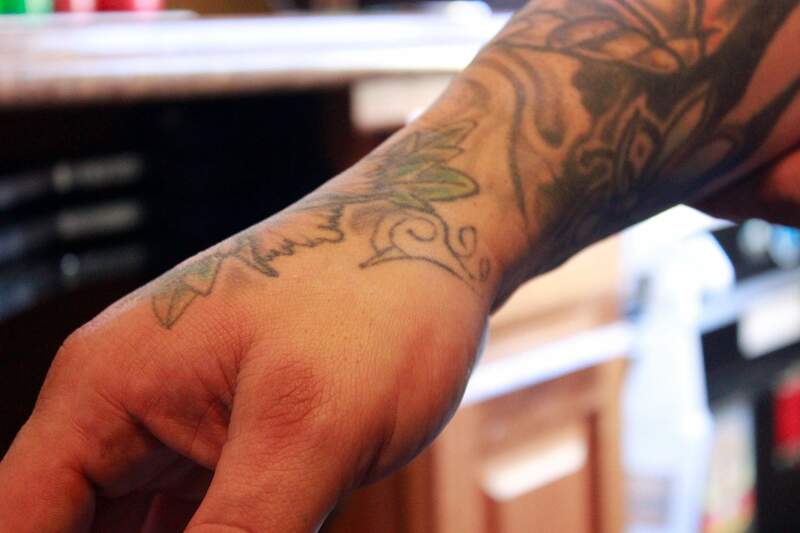 A member of the band Mastodon gave Flip Martinez this snail tattoo on his hand. Some of the most meaningful tattoos Flip Martinez has are on his neck. 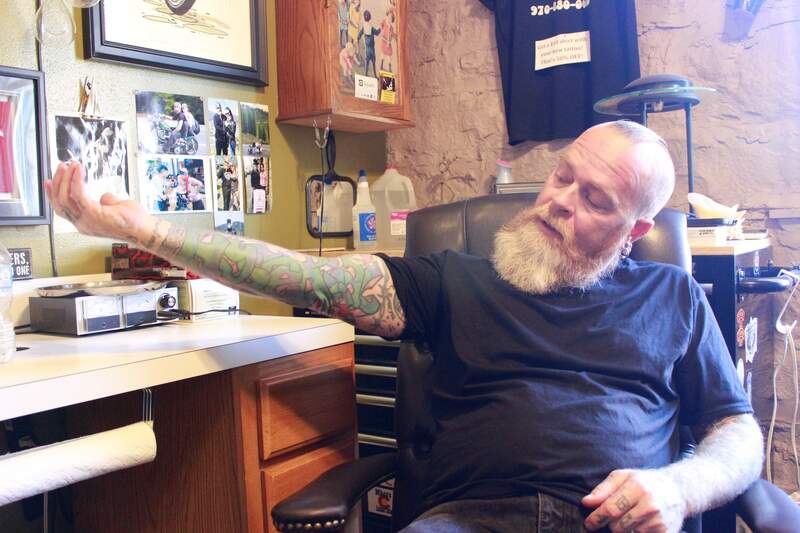 Bill Peoples, co-owner of Animas Tattoo & Body Piercings, shows off his tattoo sleeve. Robert Smith got a tattoo of a gumball machine in honor of his son. An artist who goes by Tech9ne gave Robert Smith what he refers to as his coolest tattoo, this skull. A Japanese wishing jewel tattoo on Robert Smith’s leg. An unfinished piece on Robert Smith’s leg. 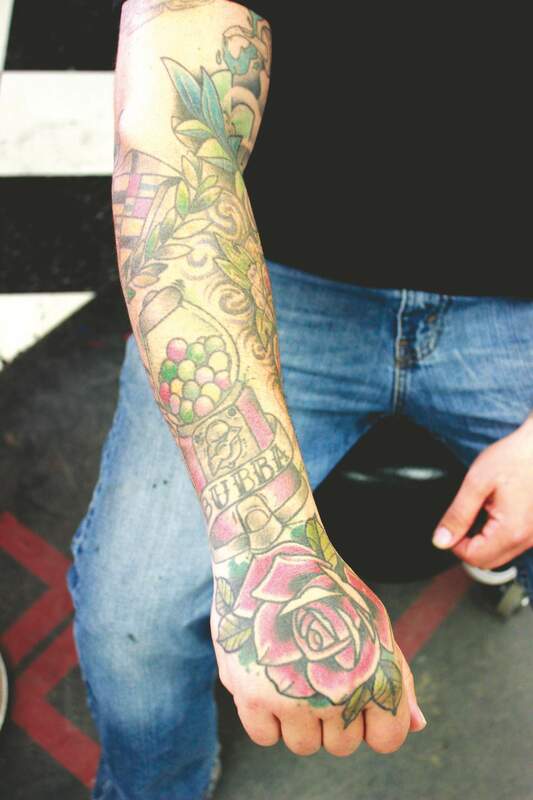 It’s hard to imagine a tattoo artist who isn’t covered in tattoos. Just try it. Can’t do it? Neither can we. 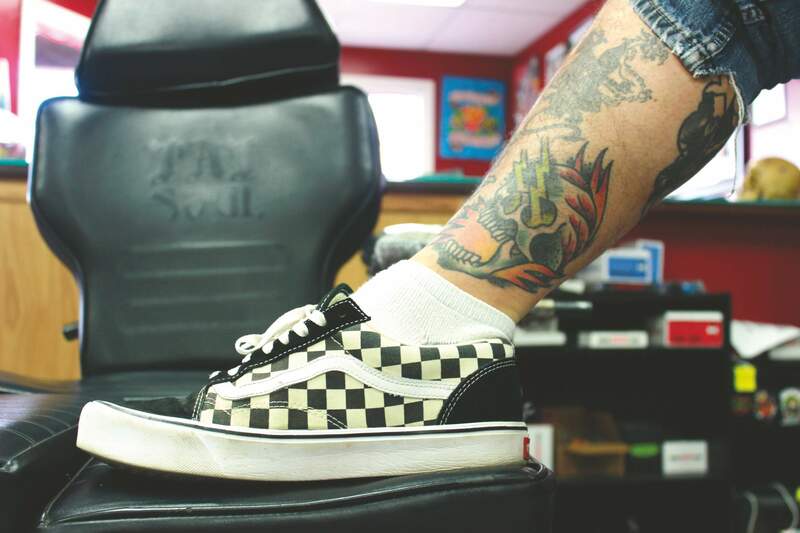 Tattoo artists are usually covered nearly from head to toe in an amalgam of colorful ink, and local artists are no exception. Graceful Eye owner Joshua Barela estimated that tattoos cover nearly 80 percent of his body – he’s even got a few face tattoos. Unfortunately, like the rest of us, artists are just as likely to end up inked with a crappy tattoo or two on their journey to canvas their bodies in color, but they also have a lot of quirky and heartfelt stories just beneath the surface. This week, we asked them to tell us those stories. Matt Blachley (Skin Incorporated Tattoo and Body Piercing): I got a gargoyle on the back of my leg that wasn’t done in a shop, so it’s not great. ... I think I was like 16 (years old). … Maybe I’ll get it covered one day. It’s hard when you’re a tattoo artist because you’re very picky on who’s going to tattoo you. I got my first when I was 14 (years old) and that kind of sparked it all. I started to draw a lot and got more into tattoos. Robert Smith (Black Mountain Tattoo): As far as my best tattoo that I got, technical wise, is probably this little skull. It’s really solid and done really well. He (the artist) goes by Tech9ne, and his name does not fit at all because he’s some long bearded, real hipster, tall, skinny, white guy. He’s a really good artist. He’s out of Chandler, Arizona. 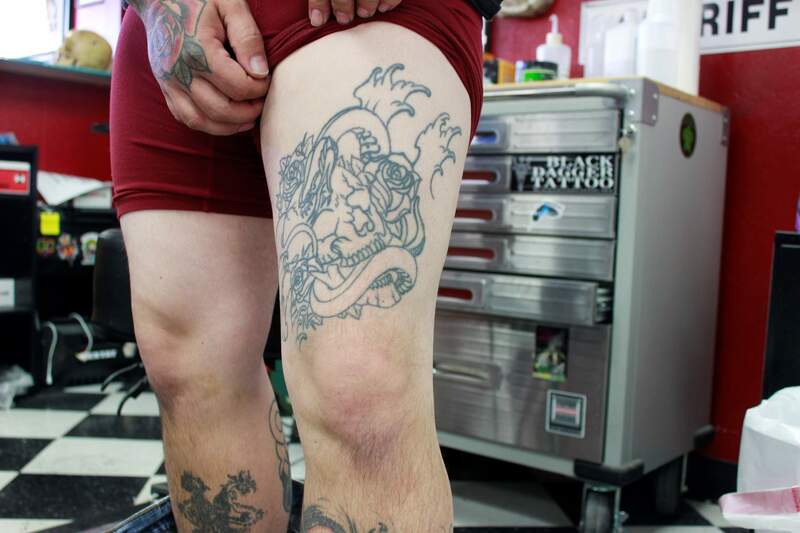 Doug Patrum (Durango Tattoo Company): Crappy tattoos? On me? Tons of them. Pretty self-taught, meaning trial and error and tons of crap. Just about everything I have is a cover-up in some way or another. ... I just started doing tattoos. I got one and was like, ‘Oh yeah, that’s for me! How do you do that?’ So I hooked up a little homemade tattoo rig and started hooking myself up with free tats, and that’s what they were worth. 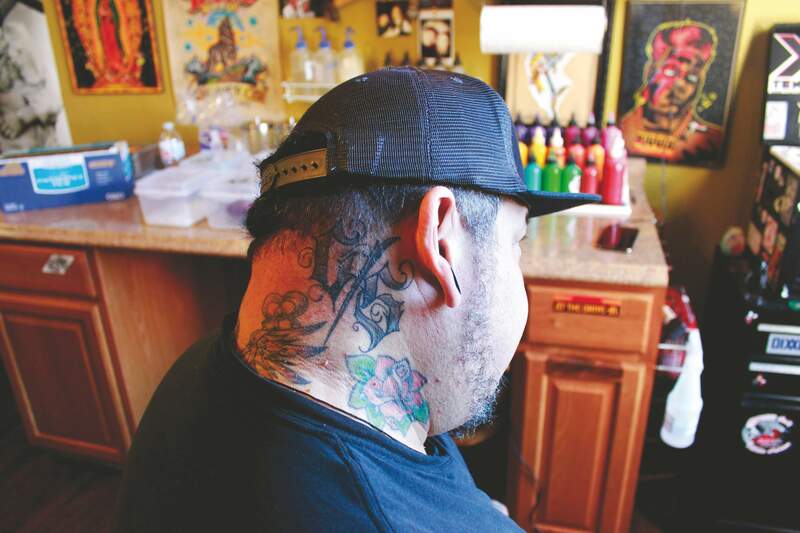 Flip Martinez (Animas Tattoo & Body Piercing): It’s kind of a convenient thing usually, when you actually sit down to get tattooed. You get busy. It’s one of those Murphy’s Law things. So half the time you don’t get to finish them. A lot of times you don’t even get to start them, so you just do it when you can sometimes. And, of course, we’re always the worst when it comes to finishing them, because everything on me is pretty much is unfinished. 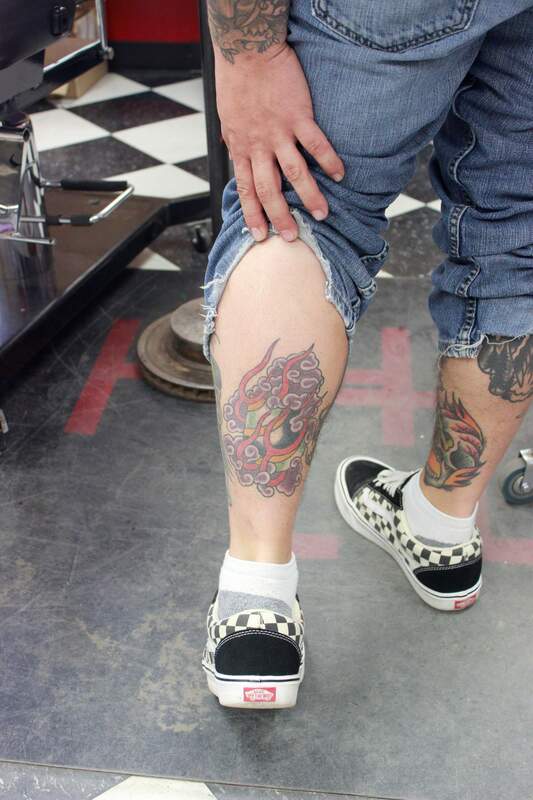 Bill Peoples (Animas Tattoo & Body Piercing): I had it lasered off. In fact, the before and after pictures are in my portfolio. It’s my entire chest, shoulder to shoulder, sternum to throat. Seven and a half hours worth of work. I stood up, looked in the mirror, and the wings were on my angel backward. That was the shittiest.